Owning a business can be very tricky. Even if you have a great product or service that you're selling, it may take a while for your business to get off the ground. And sometimes, word of mouth is not enough. In today's world, consumers are not as easy to catch as they used to be. Having a smaller business, especially if it's a newer one, probably means that you have a smaller budget. That's okay, because there are so many ways to advertise for your business without having to spend a ton of money. Here are three of those ways, courtesy of the Entrepreneur. Social media is a great resource to use to talk about your small business because there are so many users. Plus, it's free! There are tons of social media platforms to choose from, but you certainly do not have to tackle them all. The Entrepreneur suggests picking a few and starting from there. Remain consistent on all platforms that you choose, and create content that is attention grabbing for your consumers. People love a good contest, and they also love getting stuff for free. 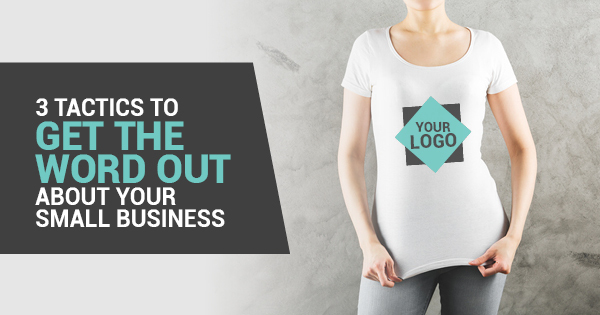 Giving out items with your businesses name and logo on them is a fantastic way to spread the word about your pride and joy. Don't have anything with your name in it? No problem! Use the technology of heat transfer via heat press machines to print your design on a huge number of things! T-shirts are a great items to choose. People were wearing t-shirts for more than two decades before that term was added into the dictionary. That means that t-shirts are about 117 years old. Heat presses can be used on a number of other products as well, like tote bags or even flip flips! When people search for a topic related to your business on a search engine, you want to make sure you're website comes up. You also want to have a site that interests your consumers with good content, images, and formatting. Advertising for your small business can be intimidating, but it's not so bad! Use social media, have a good website, and take advantage of heat presses to make customized swag to give away to potential customers!